Hands up who else wants their makeup to look like they’ve put in maximum effort without actually doing anything? If that’s you (and it’s definitely me), then cream shadow sticks are the way to go. Akin to a giant crayon, the best shadow sticks provide colour in one quick sweep and are such a help when time is of the essence in the morning. 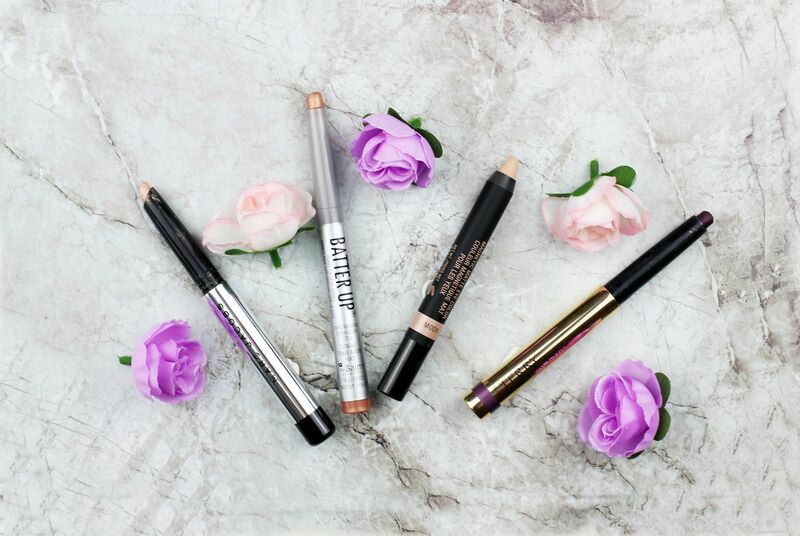 A favourite of mine, and of many, is the by terry ombre blackstars – they’re such a luxe piece of makeup and definitely take pride of place in a makeup collection. I’ve got a few shades, but I’d recommend brown perfection and misty rock as staples shades that easily enhance your eyes. The formula leans a little towards the sparkly side of the spectrum but the colour left behind sticks around for an age. Equally decadent for your makeup bag are the Marc Jacobs twinkly pop shadows, which manage to feel incredibly cooling on the lids and the shades all have a high-shine finish that captures the light beautifully. I have the shade volver which is a beautiful, delicate champagne shade. If you’re looking for more of a matte option, then I like the crayons from Nudestix (especially moon) which reminds me of mac painterly in stick form. A super easy and quick base for any further shadow and it can be used alone to leave eyes with a super-pared back finish. Lastly, theBalm batter up sticks are ridiculously easy to use and they come with cute pun names like all of their products. The colours themselves are all really wearable, and these are one of the best for using on their own alongside a coat or two of mascara. Do you love shadow sticks?